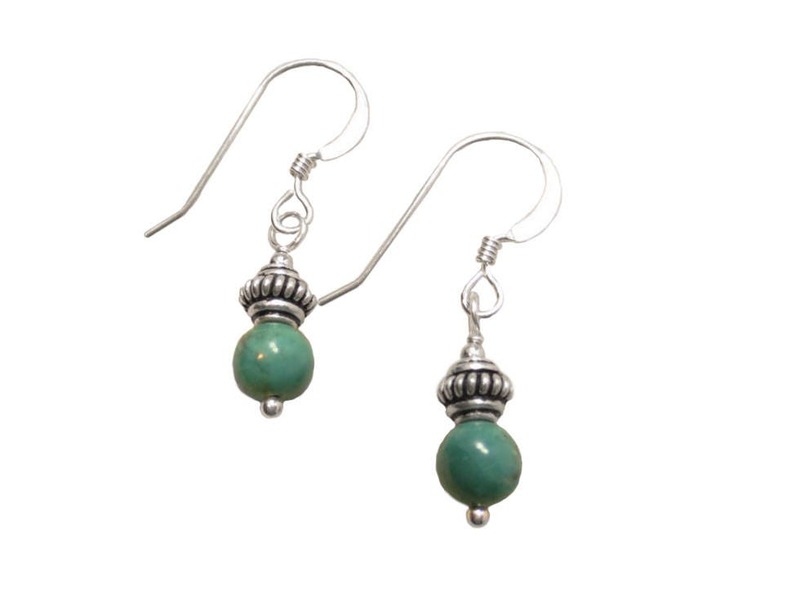 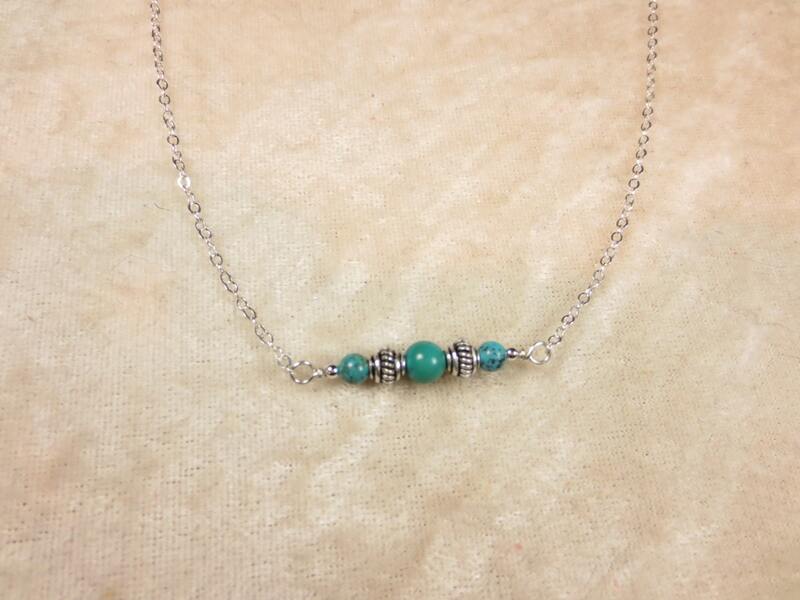 Turquoise and Bali Silver! 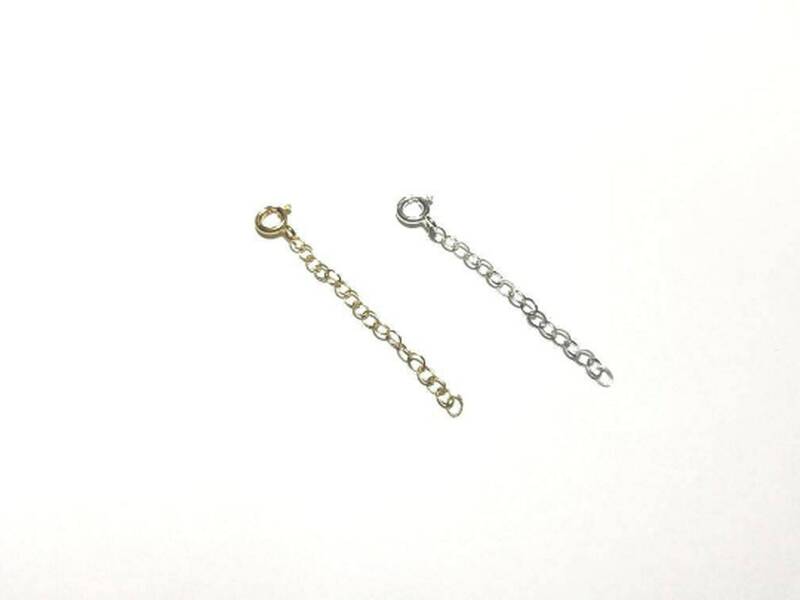 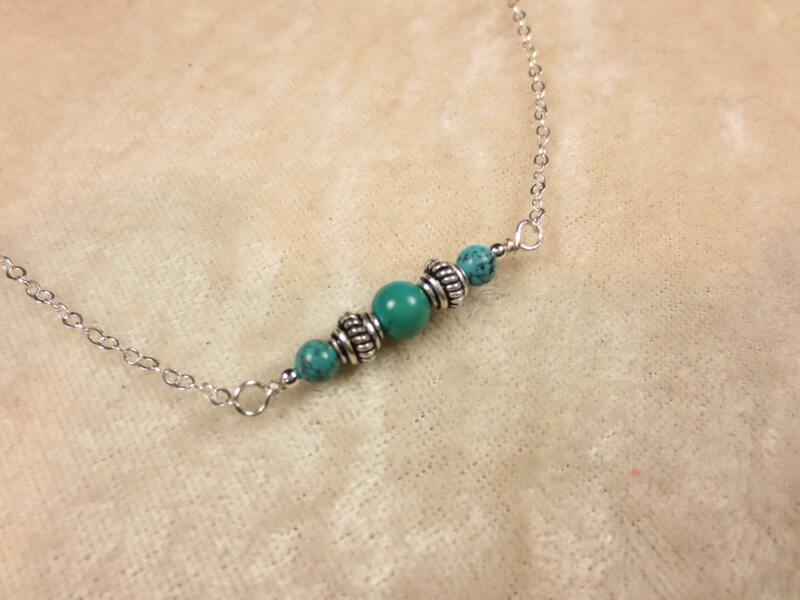 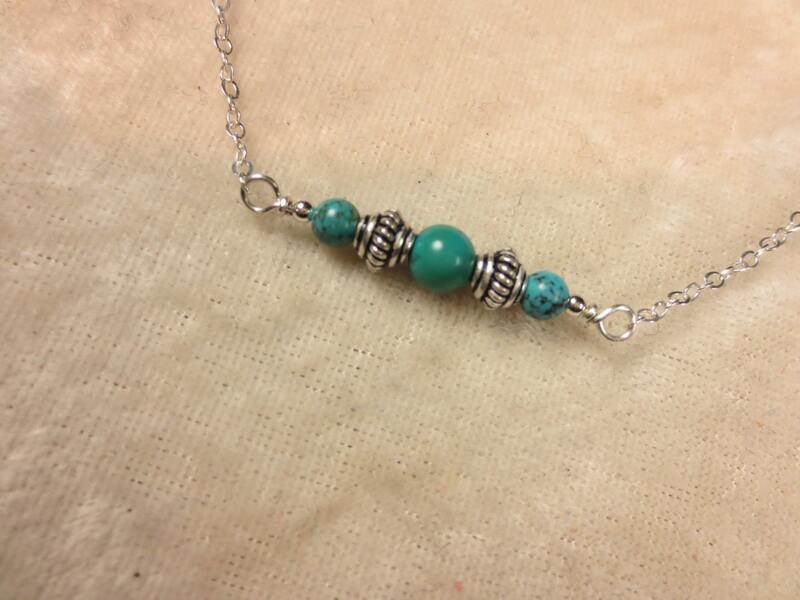 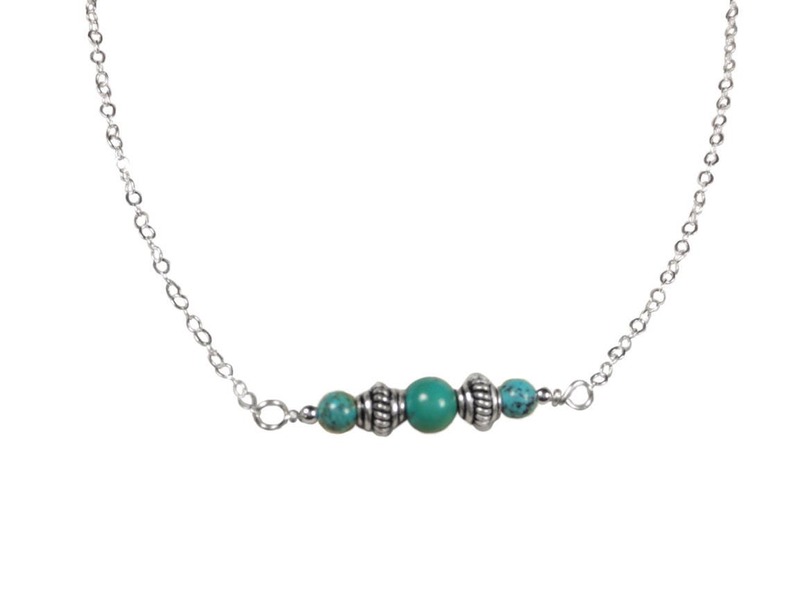 This necklace comes with 4 & 6 mm Turquoise accented with Bali beads in Sterling Silver. 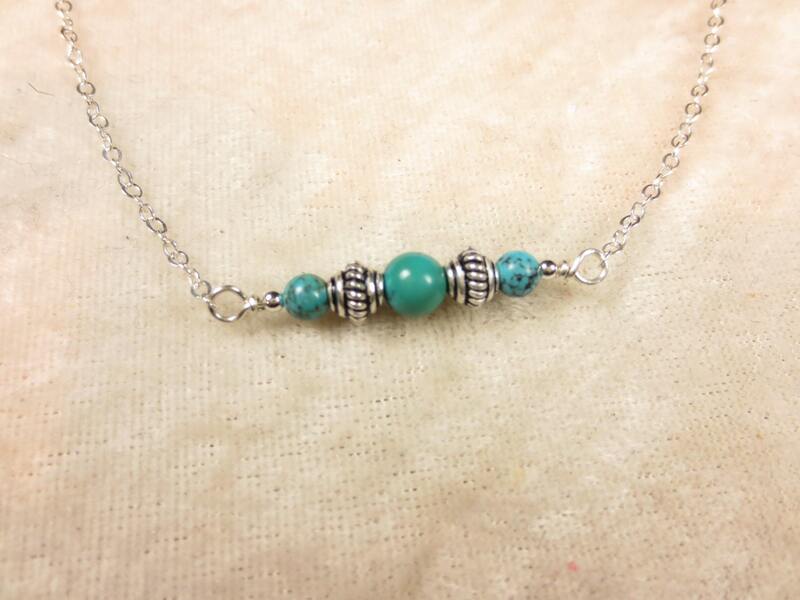 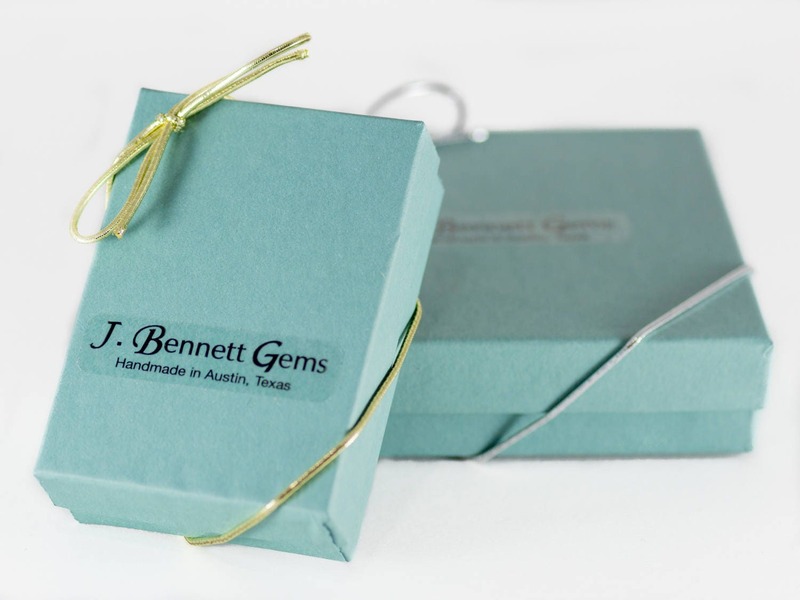 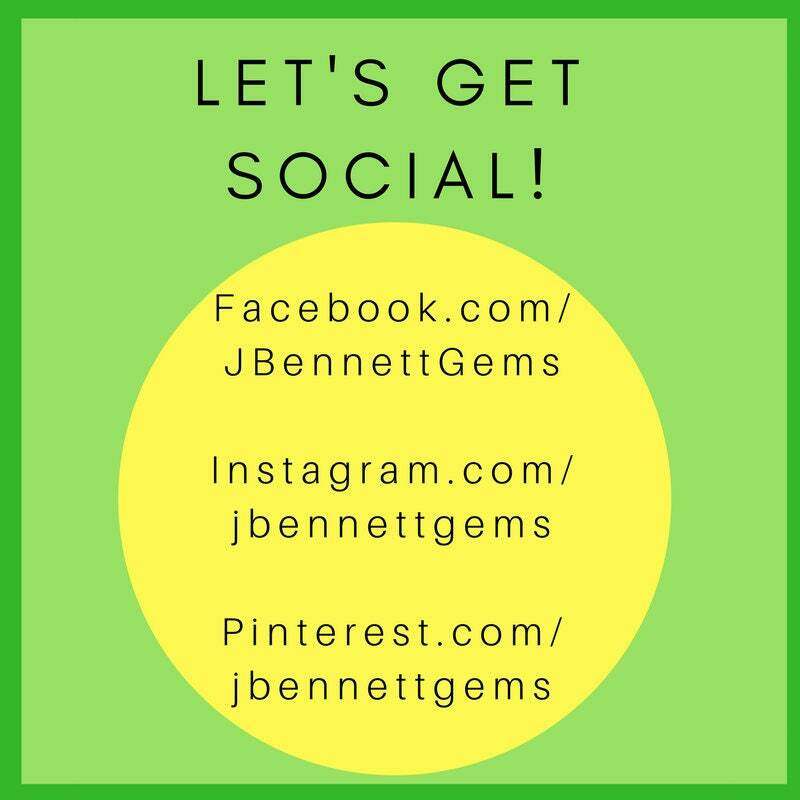 * Great gift for good friends, birthday, sisters, mothers, graduation, bridesmaids, girlfriend or for yourself.